I think this little verse captures the very essence of the picture and my newest addition to the Mori collection. I have been vigorously working on my crochet collection, which will be presented on the exhibition which is taking place on the 30 March. When I think of it, I can feel my heart in my throat. Do you know that feeling? The collection is growing with each day and I hope it will attract the desired attention. Fingers crossed! I for one will definitely keep my fingers crossed for you Maya, but to be honest there's no doubt in my mind that your beautiful crochet work will find its way into many a home, so no worries my friend! Thank you so much Ira for the flow of beautiful energy you are sending and for your continous support! Its lovely! The color scheme is very pleasant. I love them. They are so pretty. And I love that verse from Dickens, and I couldn't remember which book it was from, so I looked it up. One of my daughter's favorites. You are so sweet! Thank you so much on the warm wishes! I love the quote, Maya, just right. 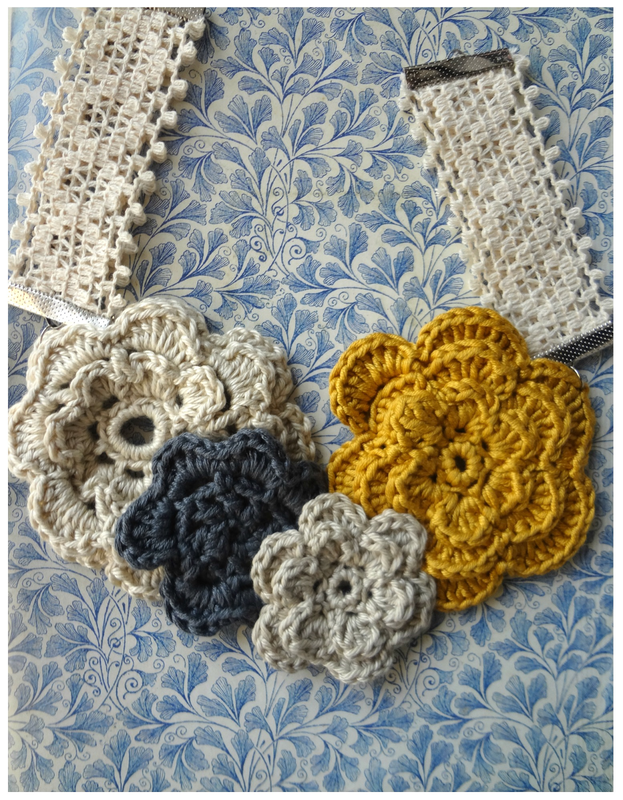 The crocheted flowers are very pretty and I love the colors.